The High School Runner: Chicago Style! 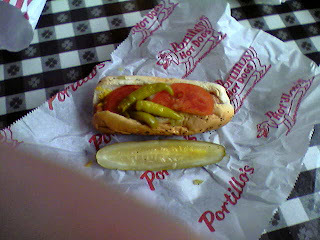 There's nothing like a Chicago style hot dog! What does this have to do with high school running? Absolutely nothing! But oh, so good! One beef hot dog in a bun filled with mustard, relish, onion, tomato, hot peppers, a pickle and a dash of salt and pepper.